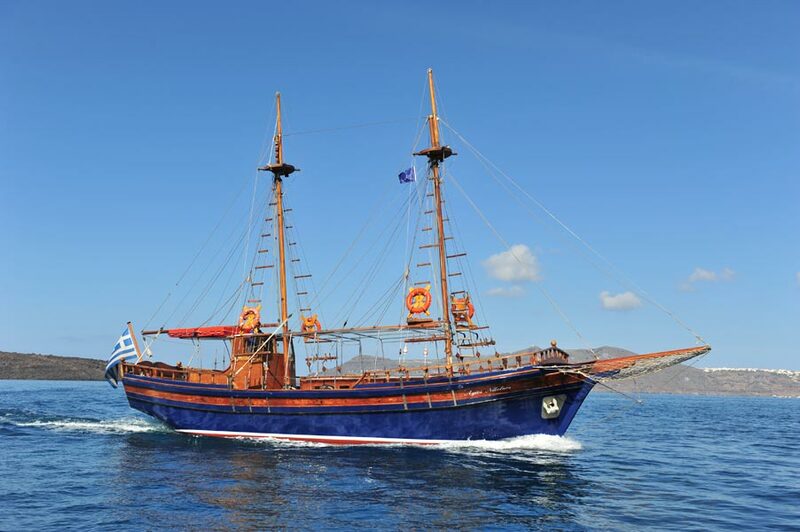 Welcome to Dakoutros Bros J.V. 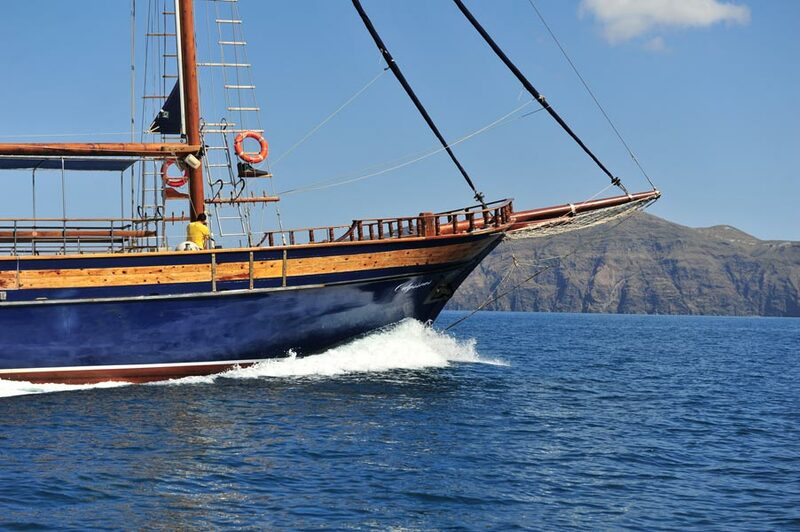 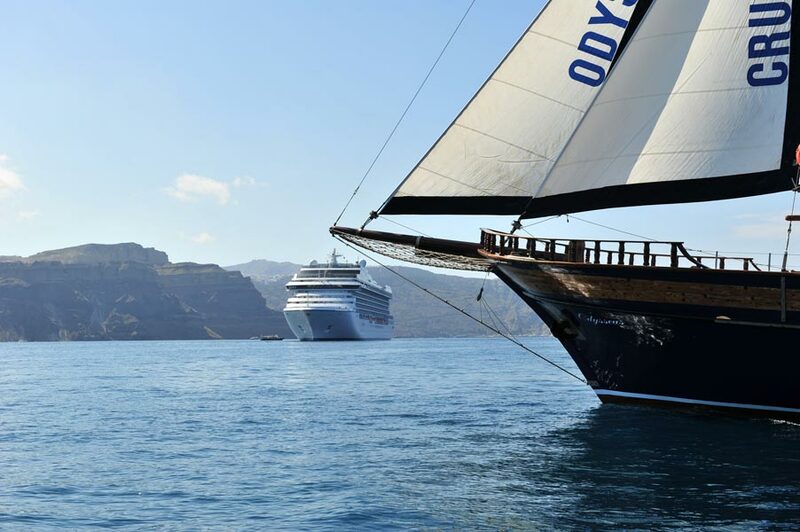 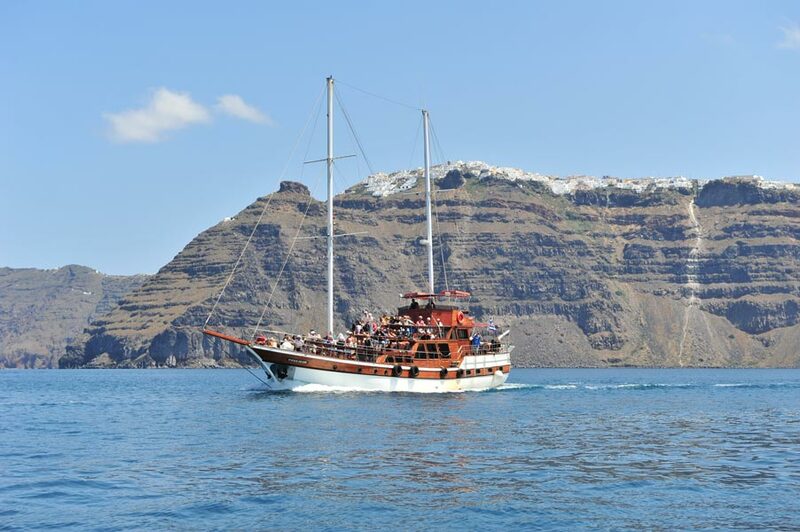 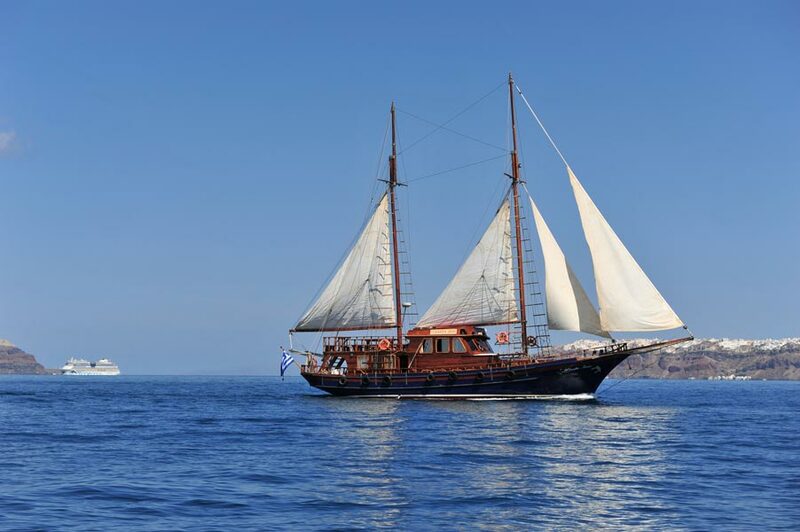 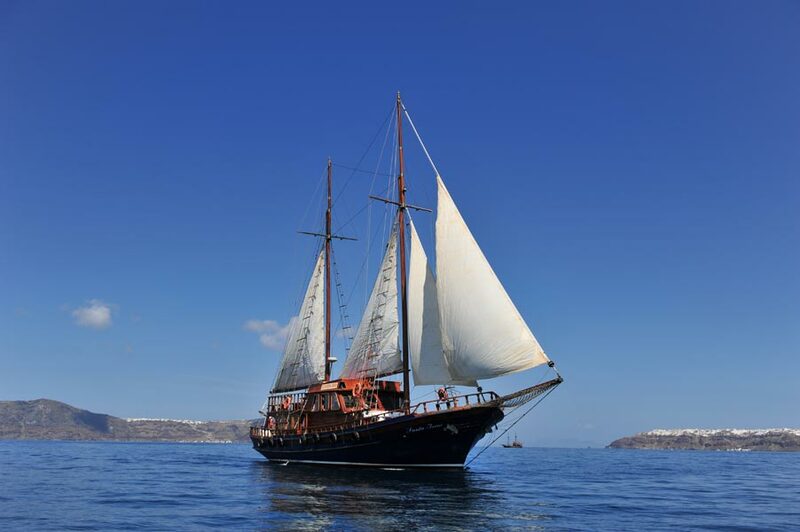 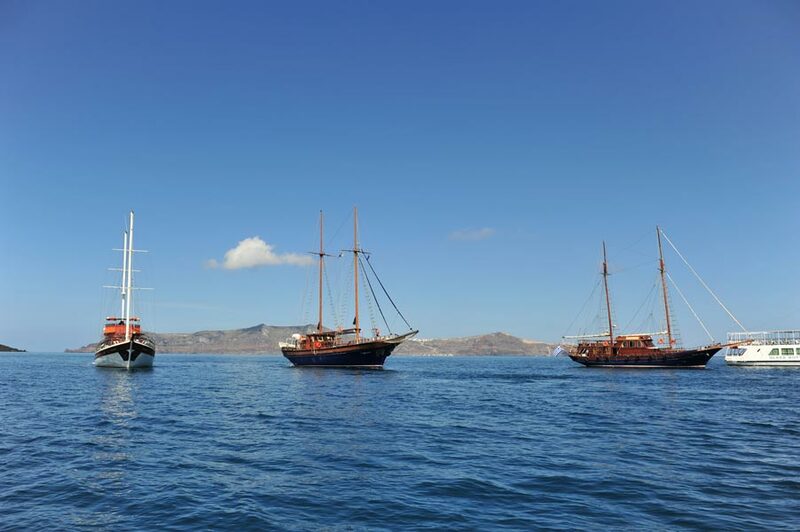 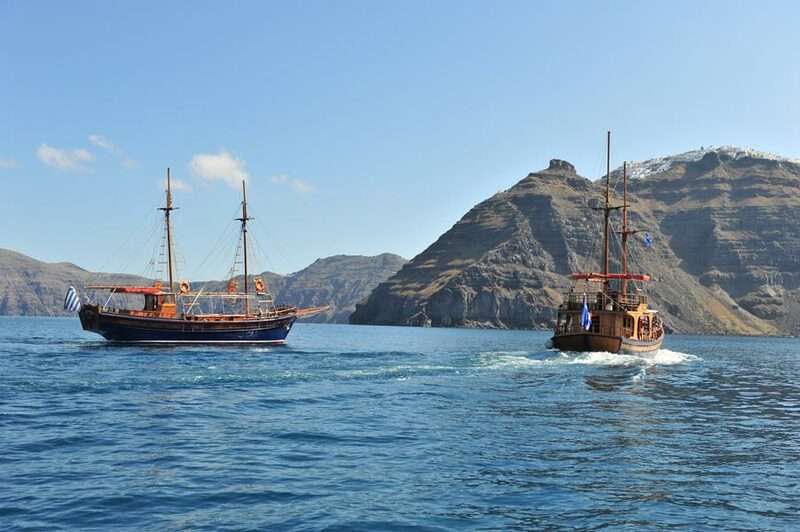 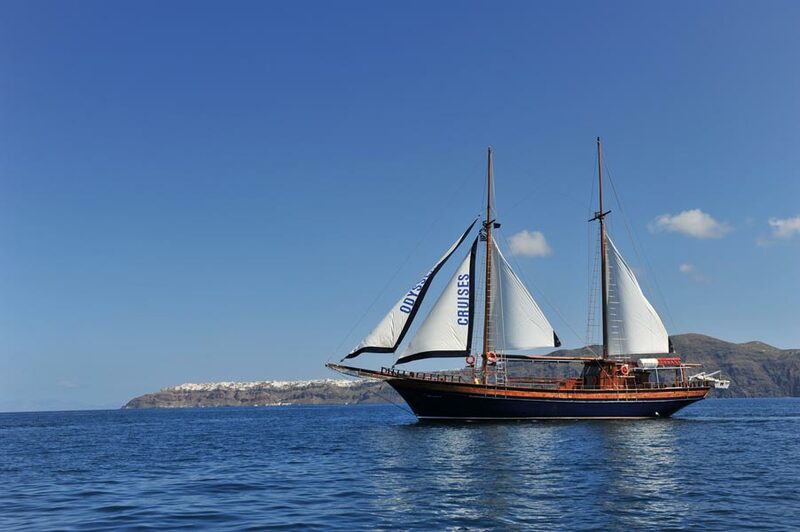 Our company operates in the field of sea excursions in the island of Santorini for more than 30 years. 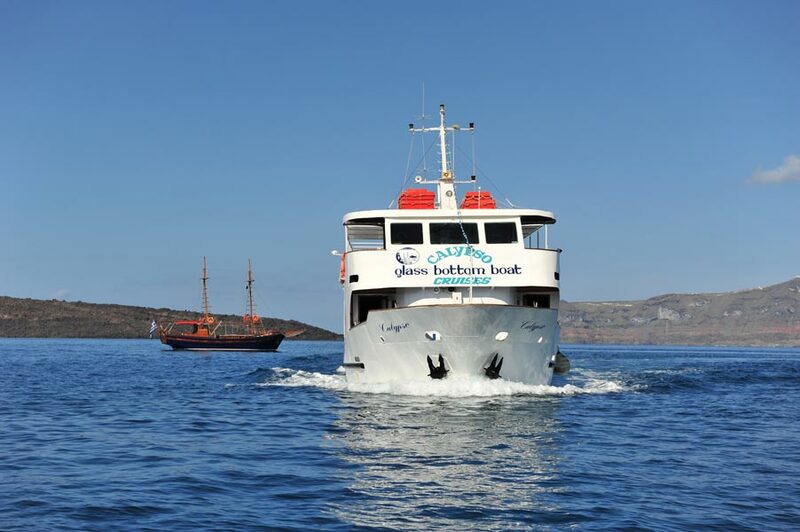 Dakoutros Bros J.V. 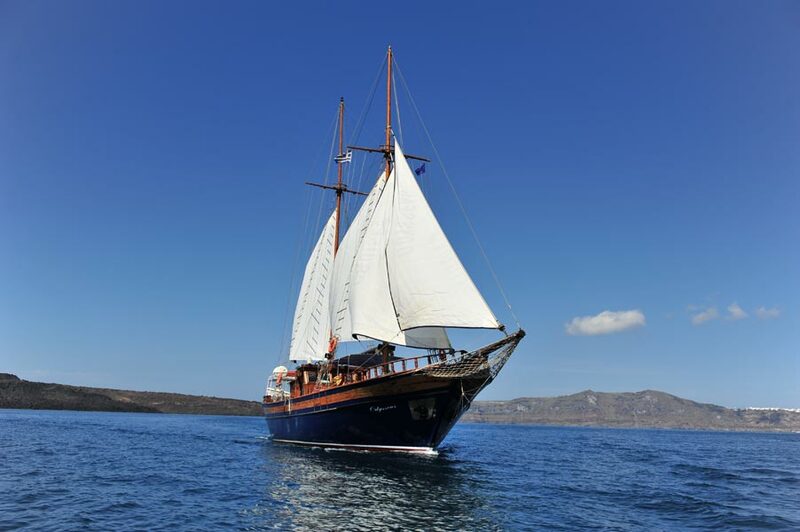 is a family business which has a fleet of 6 owned passenger touristic boats, 5 wooden sailing boats and a unique in its category glass bottom boat. 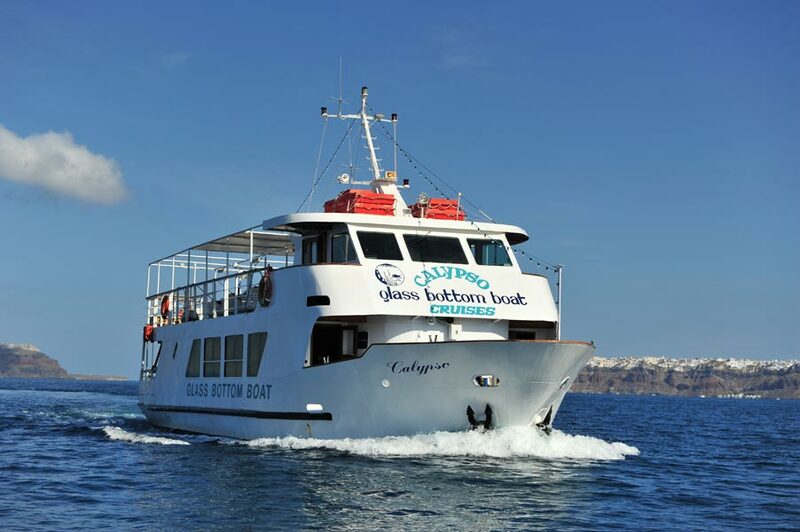 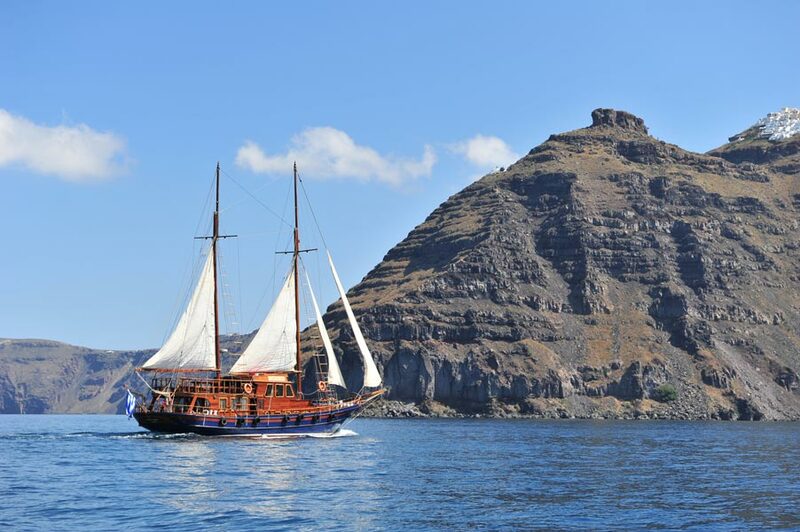 Daily we schedule touristic trips - excursions & tours to the volcanic islands of the Caldera giving the visitors of Santorini the opportunity to meet the wild beauty of a volcano that changed the history of the Mediterannean cultures thousand years ago. 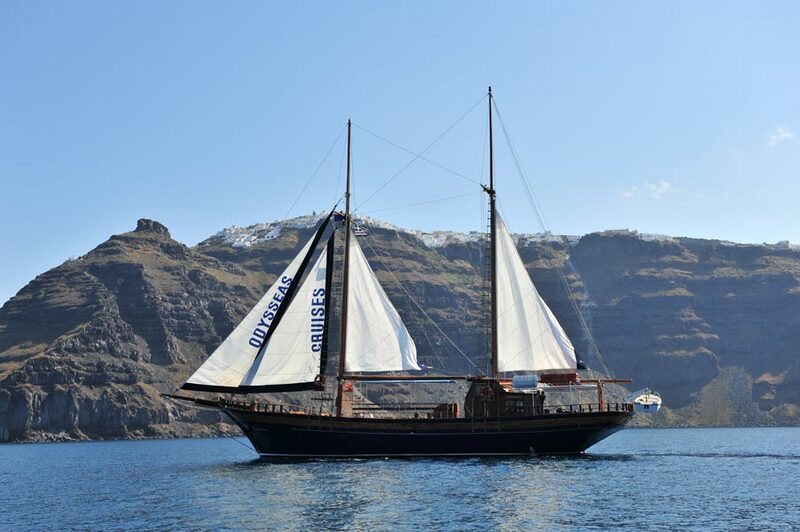 You can also watch the beautiful sunset of Santorini along with a glass of local wine under the magnificent rocks of the caldera. 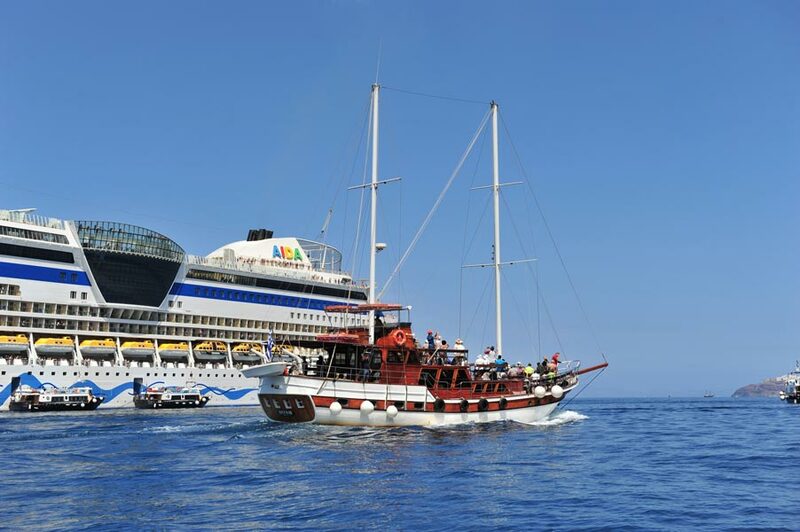 We also have availability for small and big groups of mass tourism , such as schools , working unions and packages. 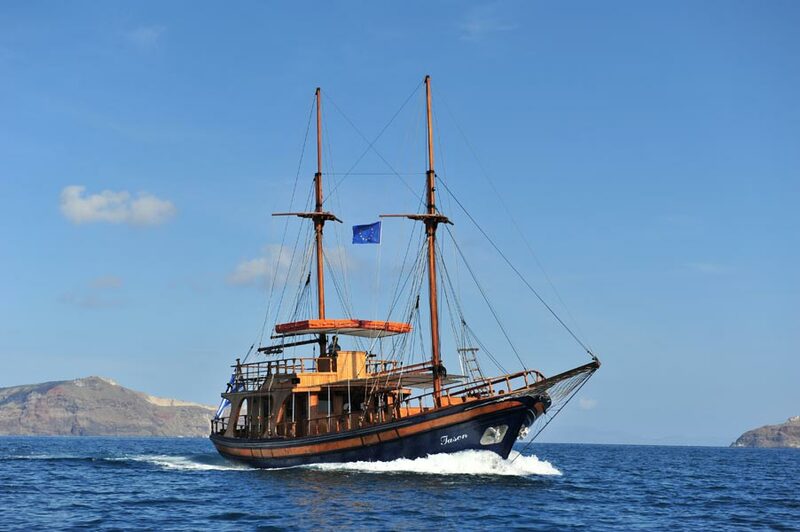 We also offer our boats for wedding ceremonies and conferences.